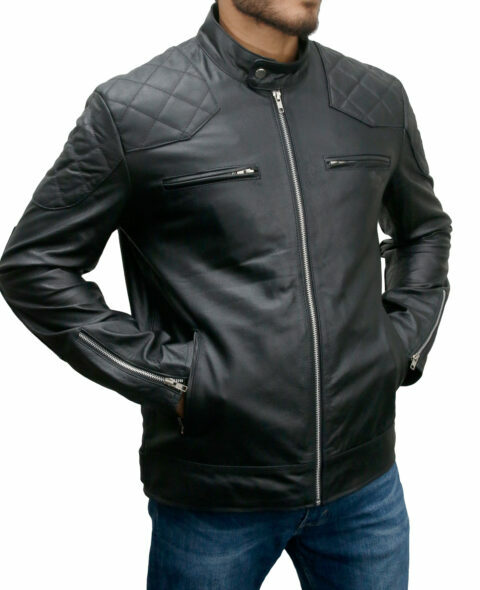 The movie Guardian of the Galaxy has introduced many fashion styles like Star Lord Jacket. The film was based on Marvel Comics and was liked by general people too much. The great superstar Chris Pratt has worn Guardians of the Galaxy 2 Jacket and looked impressive. The red color of the dress will make you prominent in any gathering. The outer shell is made from genuine leather and faux leather. The Star Lord 2 Jacket has a front zipper closure and YKK branded zip is used in it. The epaulet shoulders are the unique feature of the outerwear. The especial netted design is present on shoulders. The patch design on arms has made Star Lord Guardians of the Galaxy Vol. 2 Jacket captivating. Two sliding pockets are present on the waist whereas two inside pockets are also added to it. The internal viscose material is very comfortable and soft. The padded design is present on hemline and cuffs of Guardians of the Galaxy 2 New Movie Peter Quill Leather Jacket. My boyfriend loves it. Really really good quality as well. One word amazing – bought a small and fit perfectly, honestly don’t think about buying this jacket – just buy it, you won’t regret it!